The science ministry alleges that KAIST leader Shin Sung-Chul made illegal payments to a California lab, but many scientists see a political purge. Researchers in South Korea have criticized the nation’s science ministry for its handling of an investigation into the president of the Korea Advanced Institute of Science and Technology in Daejon, the country’s top technical university. The ministry alleges that Shin Sung-Chul misused public funds in his previous job at another university by making payments to Lawrence Berkeley National Laboratory (LBNL) in California. The payments were part of a deal in which scientists at South Korean universities were guaranteed access to one of LBNL’s imaging facilities, an X-ray microscopy beamline. The ministry has referred the allegations to prosecutors and requested that KAIST’s board of trustees suspend Shin when it meets on Friday. Many scientists suspect that the allegations are part of a politically motivated attempt to remove Shin, who was hired under the previous administration. The call to suspend him seems to have been rushed and is based on insufficient evidence, they say. Researchers also say that the ministry has misconstrued a common practice in which institutions pay fees to use equipment at international facilities. The ministry says the payments — 2.2 billion won (US$1.9 million) in total — were not part of a 2012 agreement between LBNL and the Daegu Gyeongbuk Institute of Science and Technology (DGIST), a publicly funded institute where Shin was president from 2011 to 2017 before taking over the presidency of KAIST. It says that these payments were therefore illegal. “There is no reason to pay for the use of the equipment, which is owned by [LBNL], and can be used for free with prior approval,” the ministry said in a 7 December statement. The ministry says the alleged misuse was uncovered by its audit team. The allegations were first publicized by South Korean broadcaster SBS on 25 November, and characterized as an under-the-table deal. The ministry says that some of the 2.2 billion won were paid to one individual, a former student of Shin's, and that this could constitute embezzlement. The ministry referred Shin's case — and that of two other individuals involved in hiring the former student — to prosecutors on 28 November. Shin refutes the allegations that he embezzled money. In an e-mail from KAIST sent in response to questions from Nature’s news team, Shin said that neither he nor DGIST was involved in any illegal activities or misconduct involving a double contract with LBNL, which is owned by the US Department of Energy (DOE). “The collaboration contract between two institutions was fully approved through all proper rules and regulations of the DOE and LBNL’s contracting processes,” he said. On Monday, LBNL sent a letter to the ministry — seen by Nature — supporting Shin’s version of events. It says that the agreement was a customary approach to conducting collaborative research with international partners and that the reported allegations “contain significant errors in fact and in assumptions”. The letter also said there was no "dual contract" between LBNL and DGIST. A petition in support of Shin, organized by the KAIST physics department — where Shin worked from 1989 to 2011 — was made public on Tuesday. As of Thursday morning, it had collected more than 810 signatures from researchers at South Korean institutions, including 257 signatures from KAIST academics. The petition says that calls to suspend Shin lack due process because they are based on an ongoing investigation and unproven accusations. “There simply is not enough evidence to justify suspending him of his duties”, the petition states. 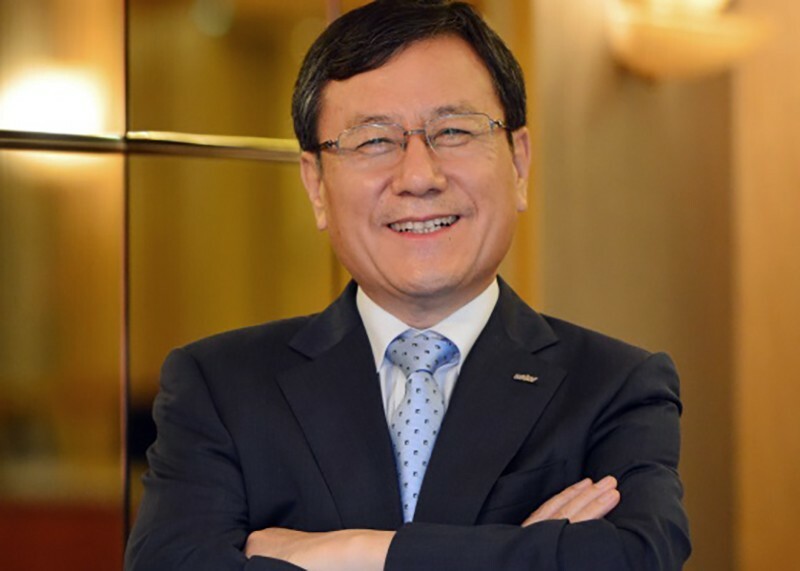 It adds that KAIST’s board of trustees should reject the ministry’s request to suspend him. The ministry has “treated him like a criminal”﻿, says one of the petition organizers, who requests anonymity because they fear retaliation from the government for speaking out. The science ministry said in two statements that Shin’s actions violated laws against embezzlement and breach of trust, and that the request for his suspension was carried out in accordance with the ministry's authority to regulate public institutions. As president of DGIST, Shin brokered an agreement with LBNL in 2012 that gave his institute’s researchers the chance to work with one of the world’s most respected physics labs. The collaboration received ten weeks of beam time, which DGIST did not pay for. The agreement expanded in 2014 and again two years later, securing DGIST half of the time on one of LBNL’s X-ray microscopy beamlines, which its researchers used to explore nanomaterials — a coup for a new and little-known institution, say researchers. As part of the arrangement, DGIST paid an annual facility fee. In its letter, LBNL said the collaboration required significant instrument time beyond the scope of a standard short-term project, and that the payments supported the operation and staffing costs of running the beamline. LBNL also noted that its Center for X-ray Optics has had 25 similar cost-sharing agreements with universities, research labs and industry partners. The petition from researchers notes that the agreement also made sense from DGIST’s point of view, because it secured 50% of the beam’s time for 13% of the running cost. The science ministry has also accused Shin, two other DGIST professors and one of his former students — now a staff scientist at LBNL — of misconduct. The ministry alleges that they did not follow the correct process when granting the former student an adjunct position at DGIST during Shin’s presidency. The ministry also alleges that roughly half of the 2.2 billion won that DGIST paid to LBNL was paid to this student, whom the ministry has identified only by the family name Im, after they became a staff scientist at LBNL. The ministry alleges that this could constitute embezzlement on Shin’s part. Shin told Nature that he did not offer his former student favourable treatment. In a press conference on 4 December, he also said he had had nothing to do with determining Im’s salary or hiring Im at LBNL or DGIST. In its letter, LBNL says its researcher is a world-recognized expert in soft X-ray microscopy; that it had followed its own hiring and salary disbursement procedures; and that no DGIST funds had been sent directly to the researcher. When a researcher at LBNL with the surname Im was contacted by Nature, they referred questions to LBNL’s public-relations team. The ministry did not respond to Nature’s questions about the LBNL letter or the petition from scientists. Some researchers see the KAIST affair as part of an ongoing political purge of public science institutes by the liberal Moon Jae-in administration, which came to power last year after the previous, conservative president, Park Geun-hye, was impeached and imprisoned for abuse of power, bribery and coercion. Relations between the science ministry and researchers have deteriorated since then, in part owing to a series of controversial nominations for key science leadership positions. One of those was Park Ki-young, tapped by Moon to lead the science ministry’s innovation office in August last year. When Park was a presidential adviser in the mid-2000s, she was a major supporter of Hwang Woo Suk, the cloning researcher who was disgraced in 2004 when he was found to have committed misconduct. Park stepped down from the innovation office after pushback from the scientific community. Furthermore, several directors of national research organizations have resigned in the middle of their terms. Forced resignations are common in South Korea when the presidency switches parties. Correction 20 December 2018: An earlier version of this story misstated the number of DGIST professors that have been accused of misconduct and referred to prosecutors.